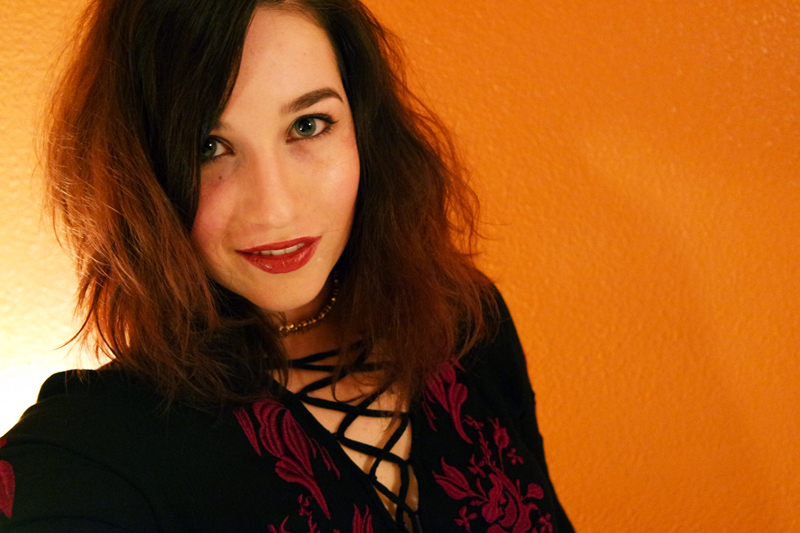 Wahhh my Italy travel posts are so overdue! It's been 6 weeks (wow) since the boy and I got on a plane to Bologna, ready for our Italian adventure. 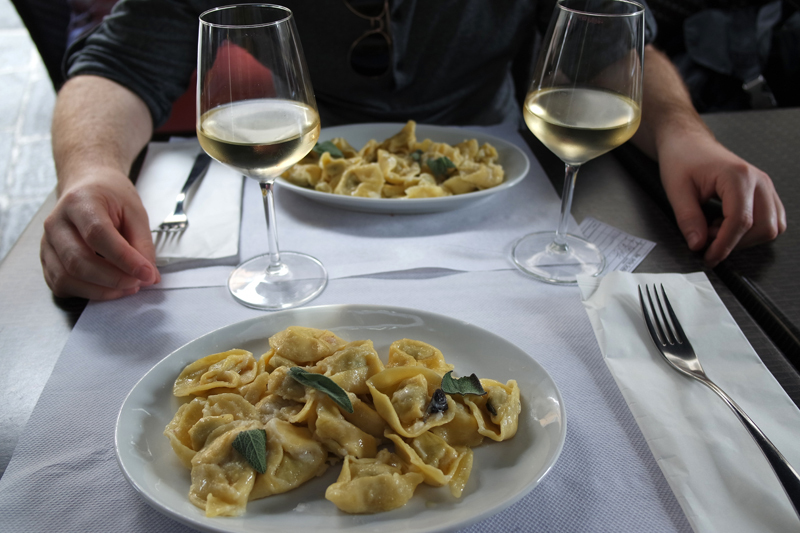 We've both wanted to go to Italy for ages but it always seemed a little out of reach and if we were going to do it, we were going to do it right - and by right I mean eating and drinking as much as possible, all the while soaking up as much Italian magic as we could fit into seven days. With the trip up to our preferred seaside destination on the north west coast taking a good few hours on the train, we decided to break up the journey by staying in Milan. Enjoy part one of my Italian travel posts! 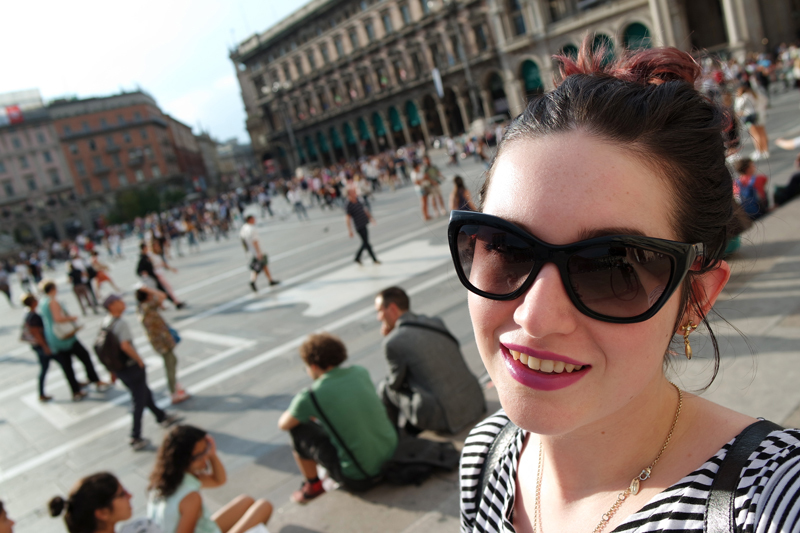 We only stayed in the beautiful city of Milan for one night, though we felt like it was just enough. 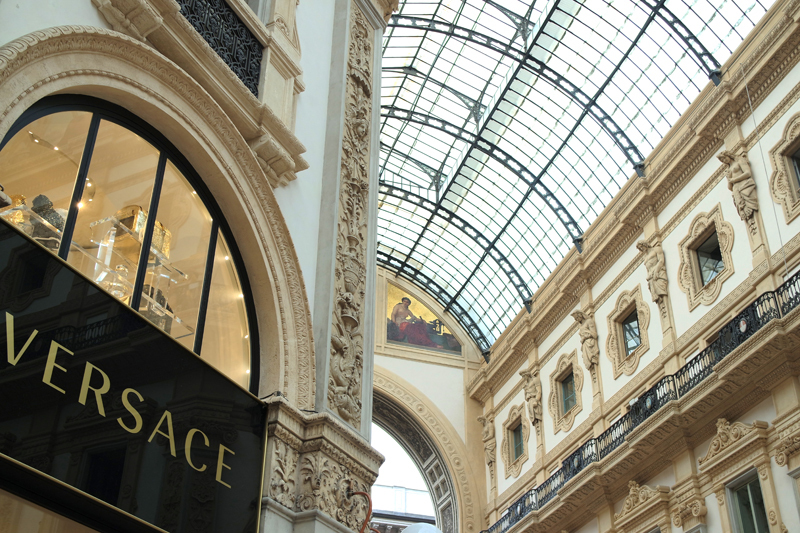 Milan is a city which is heavily centered around fashion and shopping and even though I didn't have the cash to blow in the likes of Dolce and Gabbana, Prada and Versace, it was amazing to window shop these gorgeous glossy boutiques. We mostly just wandered around, taking in the beautiful architecture and soaking up our first experience of an Italian city. 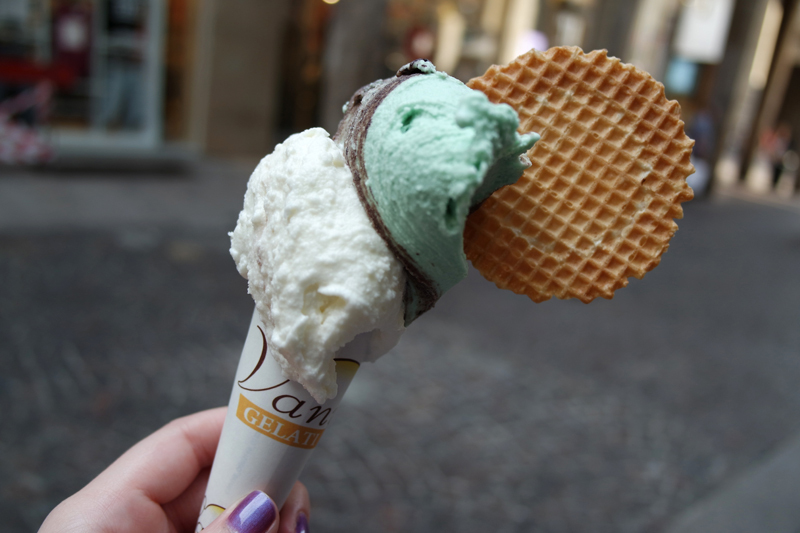 We wandered through one of the city's parks, got gelato (pistachio and coconut scoops, yum! ), drank coffee, ate fresh pasta and admired the incredible cathedral in the centre - Duomo di Milano. If we'd stayed longer, I would have definitely liked to pay the small fee to take a tour inside the cathedral. 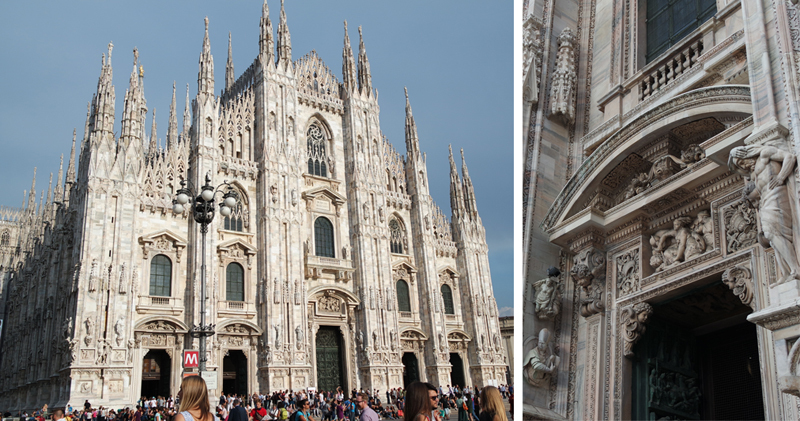 The Duomo di Milano is absolutely breathtaking from the outside, with its powerful presence over the city and stunning detail covering every inch. I can only imagine that inside is just as impressive! And if I'd had the budget, I would have loved to blow it Prada's flagship store in the Gallerie Vittorio Emanuele - the historical glass roofed arcade by Duomo. 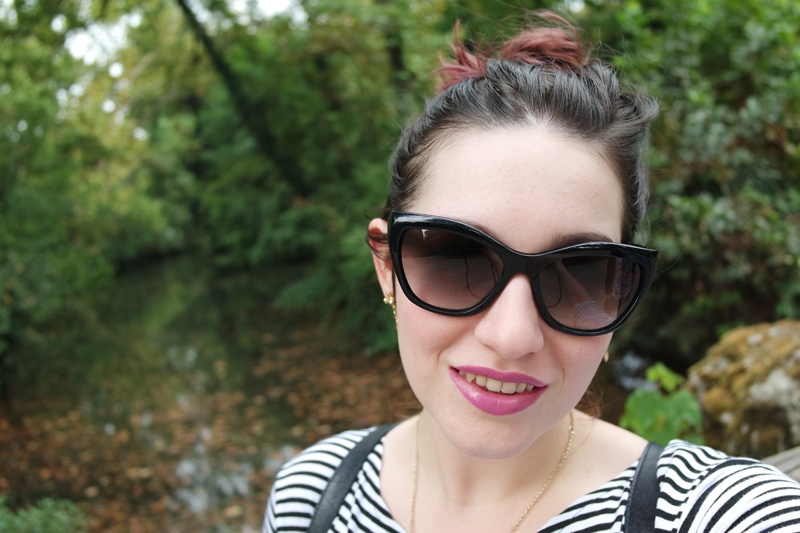 I'll have to make do with my Prada sunnies for now!